This immersive retreat will take inspiration from the ultimate guru herself, Mother Nature. Each day will be dedicated to and fully themed around one of the 5 Natural Elements - Earth, Water, Fire, Air and Space. This retreat will balance your energy, and inspire your soul. “Located deep in the rugged heart of western Maine’s Lakes and Mountains region, Nurture Through Nature is the state’s first green-certified, Earth-friendly retreat center and has been providing individuals, couples and groups an environmentally conscious getaway since 1999. On Day One, you will have an ample amount of time to settle in to your accommodations. Evening practice will be focused on becoming present in the retreat space with one another - body, mind and spirit. After our first yoga practice together, you will be guided through a Crystal Bowl Meditation to get grounded in the retreat setting and open your heart to what the week has in store. All of Day Two's activities will be inspired by the Earth element. Our yoga practice for the day will embody the earth element, we’ll adventure out on a meditative hike, and participate in a service project to clean up our planet (more to be announced on that, soon). Day Three's activities will take inspiration from and include the Water element. Today's yoga practice will embody the water element, we’ll partake in a guided canoe excursion (optional), and you will have the opportunity to partake in a cleansing ritual relating to Water. Day Four will be all about the element of Fire. Take part in a fiery, invigorating yoga asana practice and a releasing fire ceremony. On Day Five, experience the Air element through a breathing meditation, a liberating yoga practice, and a Make Your Own Prayer Flag ritual. On our Sixth and last full day together, the Space element will be our main inspiration. With meditation, restorative yoga, and yoga nidra, this element will bring the retreat to a close in the most perfectly balanced way. Our last day will conclude in one final yoga asana practice that will call upon all 5 of the elements for inspiration. Feeling perfectly primed to head back to the "real" world, you will have plenty of time to pack up your belongings and begin your journey home. To learn more about Caitlin's offerings, click here. To learn more about Nurture Through Nature and their sustainable practices, click here. "I inspire my students to play with their edges and break free from the ways of being that no longer serve them, in order to explore, understand and feel empowered by the unlimited realm of possibilities that exist for their life." An avid lover of movement, exploration, and adventure, Caitlin receives much of the inspiration for her classes and events from her own life and experiences. With a deep reverence for and expansive relation to nature, her teachings display a great respect for the nature within each individual and the organic ebbs and flows of life. Caitlin is RYT 500, E-RYT 200, Advanced Reiki Level III, Wilderness First Aid, and Health Coach Certified. Nurture Through Nature is a short 1-hour drive from Portland, Maine, or a 3-hour drive from Boston, Massachusetts. Note: Transportation is not included in your investment. Daily breakfast, lunch, and dinner is included. Nurture Through Nature caters to all - vegetarian, vegan, and gluten-free options are all available. Step 2: Claim your spot for only $300 deposit! Step 3: You will receive an email one month prior to the retreat with all the information you need to know about what to pack, and what to expect in more detail. Step 4: Hop in your car, on your plane, bus, or train and meet up with your tribe in one of the most spectacularly peaceful places in the United States! Email caitlinlassyyoga@gmail.com if you have any questions about the trip, how to sign up or anything else that comes up along the way. READY TO CLAIM YOUR SPOT ON THIS ADVENTURE? YES! I'M READY FOR A LIFE-CHANGING ADVENTURE! For the month of February, use code: WINTERBLUES for $150 OFF your total investment!! As the New Moon enters the sign of Pisces, perception and sensitivity slowly rise to a peak state. Join Caitlin Lassy (RYT 500) and herbal apprentice Samantha "Sam" Sheppard for a yoga practice and tea meditation that will support relaxation, sleep, and tuning in to our intuition during this heightened time. Sam will also provide education on herbs and practices for stress relief and sleep. Additional Tea Information: Our blend will include blue vervain, rose, holy basil (tulsi) and lemon balm. Holy basil and blue vervain are not for use in pregnancy. Please check with your healthcare provider if you have concerns regarding specific medical conditions and medication interactions. This workshop is for personal use and knowledge and should not be used in place of qualified medical advice. In yoga, the Full Splits, intentionally called, Hanumanasana, is a deep, hip-opening pose named after the Hindu monkey god, Hanuman. This pose, while accessible to all levels, does require great devotion and perseverance, qualities that Hanuman embodies. Learn why the Full Splits are named Hanumanasana, and how Hanuman’s story can inspire transformation in your yoga practice and your life, in this masterclass led by Caitlin. Dreaming of joining me for my yoga adventure retreat, ELEMENTS, but want to know more before you invest? Tune in LIVE on your favorite social media platform (Facebook or Instagram) to hear all of your most pertinent questions answered. Spaces on this retreat are starting to fill up. So, what are you waiting for? Join me LIVE online for this event to soothe any uncertainties. Do I need anything to join the conversation? Just a computer, tablet, or smartphone signed in to your Facebook or Instagram account, and optional pen and paper to take notes with. It’s all about commUNITY! Join Caitlin as she represents Sanctuary Power Yoga for this FREE yoga class at Lululemon Westfarms on Sunday, January 27. Don’t forget to bring your yoga mat, plenty of water, and an open heart. Clear, create, and manifest the life you choose in 2019! 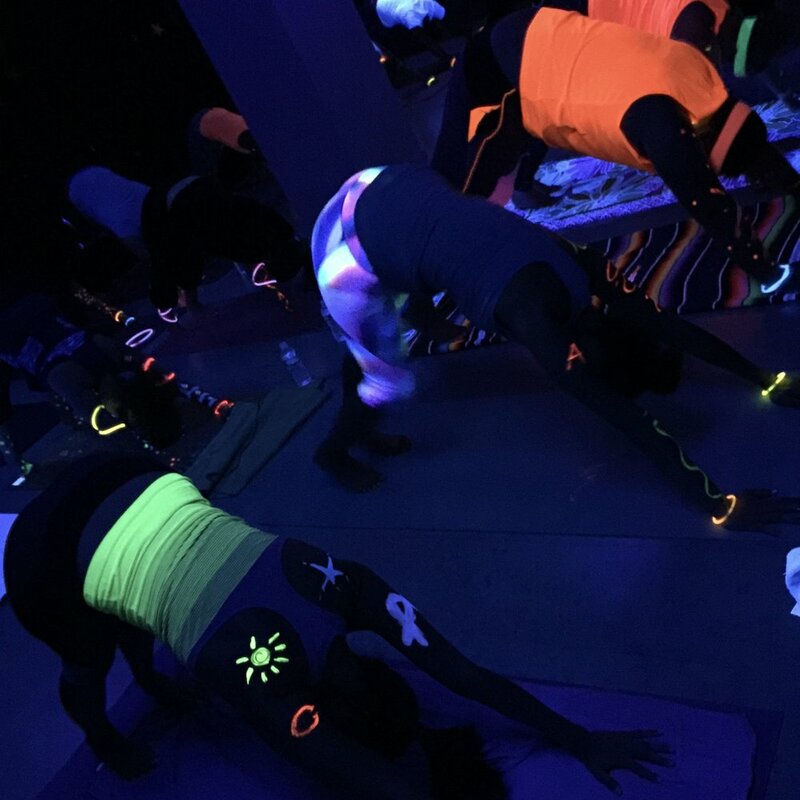 This event will begin with a fiery yoga practice to rinse and wring out the muck of 2018. Then, we’ll discuss how to tangibly utilize a Vision Board to manifest the life that’s been calling you. This event will conclude with time to unleash your creative juices and make your own Vision Board for 2019. Price includes all materials you’ll need to create a dazzling and motivating Vision Board. However, please feel free to bring any supplies of your own (photos, magazines, markers, stickers, etc.) that you’d like to use! Pre-registration is required. Click the link below to claim your spot before it’s too late! Come celebrate my return to Connecticut and the ending of 2018 with me this New Year’s Eve! This class is going to be super fun, super intentional, and super glow-in-the-dark. Come with a playful heart, come with friends, and come with all the neon you can find! I’m so excited to close out this chapter together. See you there! Price: $18 Drop-In, includes a beverage of your choice - either beer or kombucha - after class! To learn more about the Farmers Market and these classes click here and here. Standup Paddleboard Yoga - every Saturday, Sunday and Monday morning throughout the the summer! Saturdays and Mondays I'll be at the Boulder Reservoir from 8-9:30am, and Sunday mornings I'll be at the Cherry Creek Reservoir in Denver from 9-10:30am. Learn how to paddle, discover your internal strength and power, connect to the refreshing water and soak up the summer sun! Price includes all the gear you need, paddle instruction, and yoga class. Sunday: Sky Above Me, Earth Below Me, Fire Within Me. Hanuman is a yoga and music festival in the heart of Boulder, CO. Open your heart and experience awakening, belonging and connection in a four day celebration of world-class yoga, mind-blowing music, inspirational experiences and nourishing community. It would be wonderful to see some familiar faces and meet some lovely new souls there! Click the button below to buy your pass to an inspiring weekend full of transformation and fun! Wheel pose, dancer, bow, camel….these poses are often referred to as backbends, but I like to think of them more as heart openers. Heart openers are incredibly energizing and liberating. They are playful and inspiring, but they’re not always the simplest of shapes to create. This workshop is designed to help you discover how to flow in and out of heart openers with greater ease and understanding, in order to live more openly and freely. Indulge in your internal world. Indulge in Mother Nature, and all that she offers. 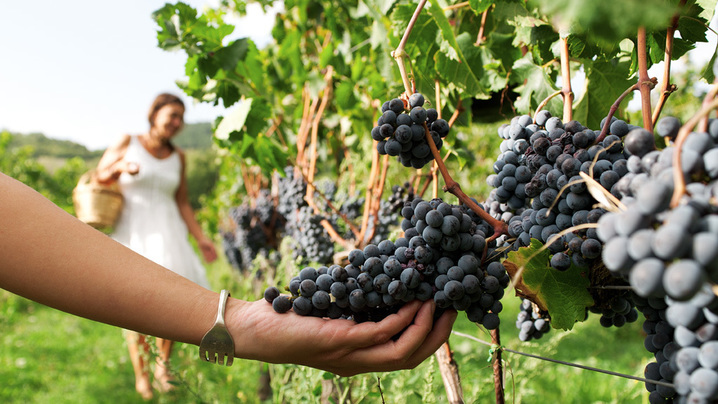 Indulge in your many senses. Discover the ways in which all of these are connected, and how to strengthen your connection to them. Indulge with the intention to become a more mindful, empowered being, and to live a more whole, intentional life. Ignite the fire within. Discover its fuel and stoke it. Ignite your passion for life. Ignite your passion for yourself. Uncover your truth. Be reminded of why you're here. Ignite your ability to be fearless on your journey. Drop your ego, and set your soul on fire. 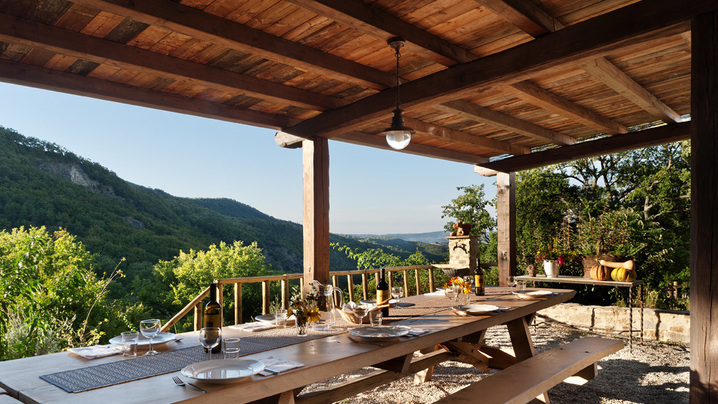 Nestled amongst the mountains and olive groves of southern Tuscany, Le Pianore, the farm house we'll call home for a week, will provide and hold the most comforting space for your personal retreat experience. 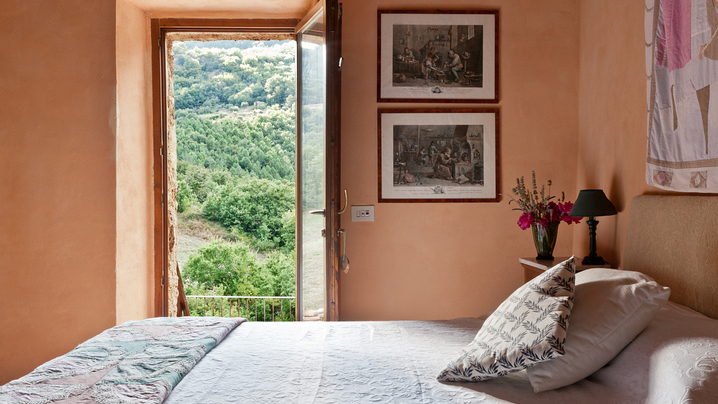 Whatever your intention for arriving - to indulge in the Italian culture, to ignite the fire of your soul, or to inspire your own inner expansion - you are sure to depart feeling totally brand new. For more information about Le Pianore and this retreat click here. Reserve your spot today with only a $295 deposit. 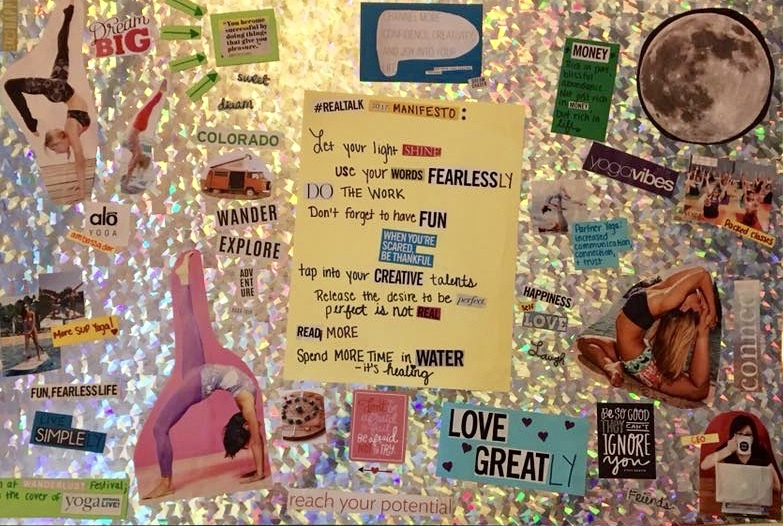 Vision Boards are an AMAZING tool to assist in utilizing your innate ability to manifest the life you desire. I personally love to create one each January, to set my intentions for what I wish to create for my life in the year ahead. I LOVE sharing this tool with others, watching their journey, and witnessing the joy across their face as their intentions come to physical fruition. So, I’ve decided to share this incredible tool with you for FREE on both Facebook and Instagram LIVE. In this online FREE workshop, I’ll be sharing why and how this actually works, I’ll guide you through a meditation to tune into your creativity, and then, we’ll create our 2018 vision boards together! I'm very excited to be back at at Sanctuary Power Yoga for this magical 2 hour intensive learning experience! This workshop will be challenging and fun, so come ready to laugh, sweat and play! This special class is designed to teach you how to approach your arm balances with greater mindfulness and ease. This workshop will help both your mind and body understand the mechanics of arm balances, so that you can make these exciting poses a part of your daily practice. If you are looking for a class that will challenge, educate, and invigorate you - be sure to save the date! EXPLORE THE INNER WORKINGS OF YOUR SOUL. This week will inspire you to transmute & transform. My radiant friend, Sara Gelpke, and myself will be offering many different paths to encourage and support your own personal liberating jungle experience. Workshops will be taught twice daily. Offerings include: a floating lantern release ceremony, power vinyasa flow, yin & restorative yoga, meditation, reiki, journaling workshop, sunrise & moonlight dance parties and live music by Krista Johnson. EXPLORE THE MAGICAL COSTA RICAN LANDSCAPE. Optional daily excursions include: zip lining, horseback riding, snorkeling, sunset cruises, and beach visits. ROMP AROUND THE JUNGLE WITH YOUR TRIBE. Check out the accommodations below!! This retreat is sold out, but keep your eyes peeled for your next opportunity to get Wild & Free with me....coming soon!! The first one was just so much darn fun, we had to do it again!! Join Caitlin Lassy and Krista Johnson for this exciting community event! Caitlin will guide a fun & funky all-levels flow while Krista serenades with her soothing, loving voice under the warm summer sun. Please bring a yoga mat, water, sunscreen and all of your love and positive vibes! Meet in front of the pond at Mills Pond Park in Canton, CT anytime after 9:30am. This workshop will be challenging and fun, so come ready to laugh, sweat and play! This special class is designed to teach you how to approach your arm balances with greater mindfulness and ease. This workshop will help both your mind and body understand the mechanics of arm balances, so that you can make these exciting poses a part of your daily practice. If you are looking for a class that will challenge, educate, and invigorate you - sign up today! Join Caitlin Lassy at Shine studio for this magical 2 hour intensive learning experience! Journey into arm balances and have fun! $25 per person. Open to all levels!